Ever wished you could walk right onto your favorite attractions without waiting in line? 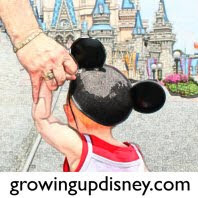 With FASTPASS, you can come close to making that dream come true. "Honey, I Shrunk the Audience"
Can I have more than one FASTPASS at a time? Once you obtain your FASTPASS, take a look at the bottom of the ticket. It will tell you at what time you'll be eligible for another FASTPASS. The time period you need to wait varies based on the crowd levels on that day. Once that time arrives, you are free to go to another FASTPASS distribution area and get an additional FASTPASS. FASTPASSes are only valid on the day they are issued, so please don't buy them on EBay. There are only so many given out at each attraction per day. Once they are gone, your only option for that attraction is to wait in the stand-by queue. Be sure to spend some of your wait time checking out the details the Imagineers put into those areas. TIP: You can send one member of your party ahead to get FASTPASSes for the rest of the group once everyone is in the park. Just make sure that person has everyone's ticket. This is especially important at rope drop for very popular attractions. In October 2008, I was the designated FASTPASS person at park opening for Toy Story Mania. Me, 4 months pregnant, running ahead with 3 able bodied young men (hubby, brother, cousin) lagging behind. =) Since thrill rides were not an option for me, I kept their tickets and later on got them FASTPASSes for Tower of Terror while they were riding Rock 'n' Roller Coaster. FASTPASS is a great service that can really help you maximize how much you can see and do in a day at the parks since you spend your wait time somewhere other than in line. RIDER SWAP If both parents want to experience an attraction for which the kids are too small, you also have the option of Rider Swap. This allows for one of you to ride and then swap with the other adult without waiting in line twice. The procedure varies from attraction to attraction, but essentially, if it has a height restriction, they will offer Rider Swap. Check with the Cast Member at the entrance of the attraction for details. Sometimes you are given a FASTPASS-like ticket and other times you'll be asked to wait in a certain area. If you already have FASTPASSes for an attraction, Rider Swap is unnecessary; you'll just take turns entering through the FASTPASS line.